I am a Christian who has been blessed with 4 beautiful children and an incredibly supportive and loving wife. I never ran or played any organized sports growing up. I always believed in Jesus Christ as my savior for as long as I can remember but only went to church when someone else suggested it. Rather than tell you my life story I will do my best to share with you how I went from being an overweight, inactive, disengaged Christian, to someone who is writing a blog about Faith and Fitness that I would have never imagined. 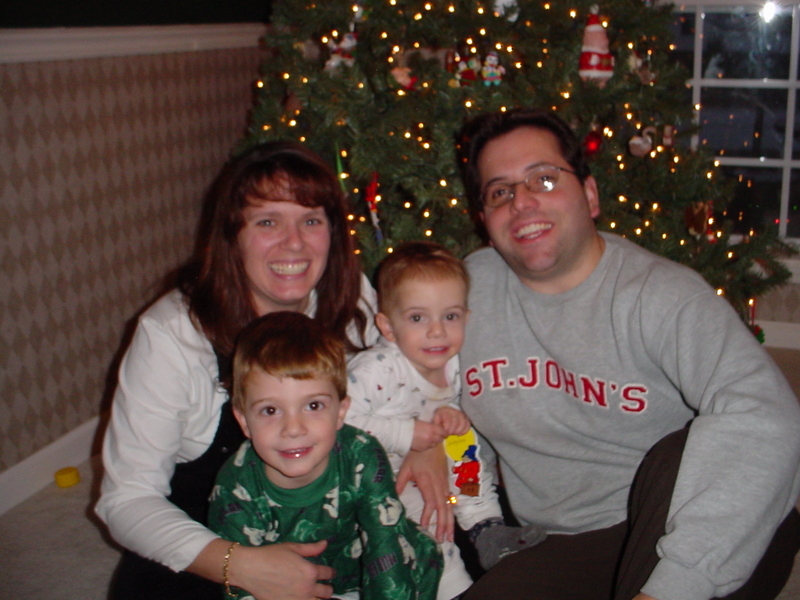 In early 2005, I was almost 50 pounds heavier and had been focusing on all the wrong things in life. During a meeting at work I sat with a group of guys who were signing up for the NYC marathon. As a native New Yorker, that was something I always thought would be so cool to accomplish. I decided to enter the lottery despite their warnings that most don’t get in on their first try… Somehow I was the only one who did. I trained hard, lost some weight, and my wife didn’t divorce me even though she was pregnant with our fourth child during most of my training. I truly thought it was a “one and done” as did she…. That was until I got a reminder to sign up in 2006. Once again I got in via the lottery and this is where my physical and spiritual journey truly began to change. The 2006 New York City Marathon served as a turning point in my passion and love of running. The catalyst occurred at the Marathon Expo where I entered my name in a Powerbar raffle with over 45,000 potential runners to be paced by 3 professional athletes and won! 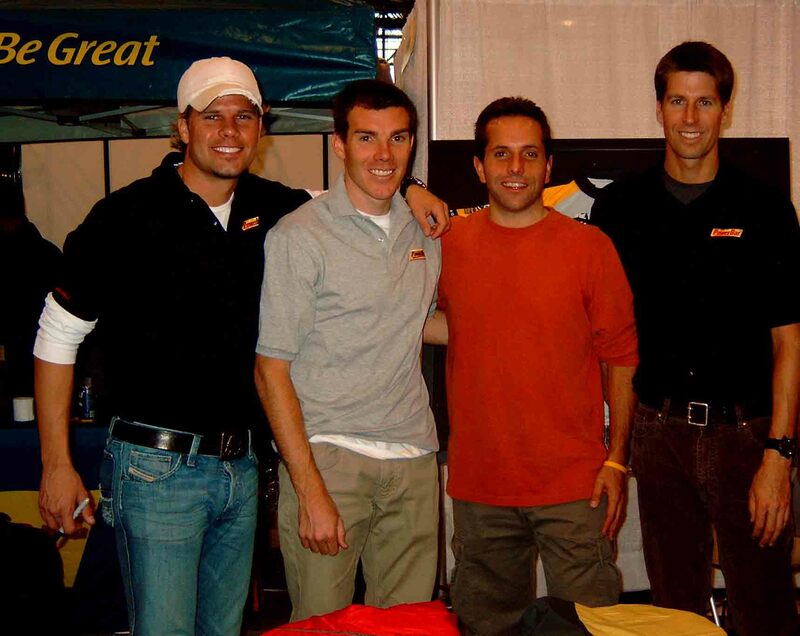 These athletes were American 50K Record Holder Josh Cox, Olympian Dan Brown, and Ironman World Champion Peter Reid. The experience and events of that day deserve more than I could do justice here in a few lines. The most critical learning for me on that particular day was that these men helped me begin to realize that I was capable of pushing my body more than I ever thought was possible. I immediately signed up for another marathon for the following spring and I began to push my body harder than ever. The next major event occurred in 2008 when I started running with my good friend “Bobby Goat” Weinhold who loves to run 100 Mile Ultra Marathons in the mountains. However he wasn’t running Ultra’s at that point and I wasn’t running sub-3 marathons. I had always avoided running with groups or anyone for that matter. As someone who suffers from Ulcerative Colitis, restroom stops were all too frequent and embarrassing. Fortunately I overcame the stigma and we began running together a few times a week. Our friendship grew and both of us began to see significant improvements in our fitness. As I continued on my quest to shave over 40 minutes off of my first marathon time, my 3 daughters were in our church choir and their Christian music CD was constantly being played in our home and car. As a result, these songs would often be in my head on runs and I found they offered me strength, comfort, and confidence. Singing “To God Be the Glory” became (and still is) part of all my runs. This was something that I hid from everyone as I was not comfortable sharing this part of my faith at this time. During this time I also became involved with a men’s bible study at church, a group call ANE that helps individuals lead others from our spiritual core, and found a powerful clip on YouTube called “Ryan Hall: How Does Running Glorify God?” (click on link). 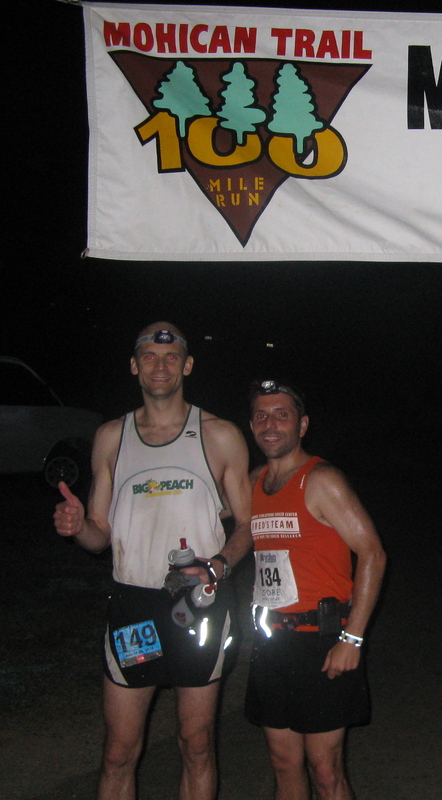 It contained a sermon from my 2006 pacing partner and American 50K Record Holder Josh Cox. This convergence of events began to take hold of my spirit and I began to embrace my faith more than ever before. 2010 was an amazing year for me personally. It started with a recommendation from my friend and trainer Dr. Johnny King-Marino to run the “flat” Virginia Beach Marathon in order to break 3 hours rather than “Hilly” Boston which I had already signed up for. It wasn’t easy advice but I respected his opinion and followed doctor’s orders. I ran exactly at the pace he told me and finished in 2:59:34. It was an amazing accomplishment and I thought I’d still run Boston for fun. In April 2010 I lined up for The Boston Marathon in Hopkinton. It started off in a similar fashion as it did for me in 2009 where I went out fast and was feeling great. As I approached mile 16, I turned to my left where to my amazement, I saw Josh Cox running along with me. He was running with another man who had won a similar Powerbar raffle as I had done 4 years prior. I introduced myself and Josh surprised me even more when he told me that he and his wife appreciated my e-mail that I had recently sent and began to record our encounter as can be seen here: The Magic in the Marathon . I ran with Josh and the runner he was pacing for the next 7 and most difficult miles of the course. I continued to remind myself that this encounter was truly part of God’s plan and the feeling I had on Boylston Street for those last 200 meters was incredible and was beyond words. Despite running a marathon 4 weeks prior, I broke my personal record once again in 2:57:05. Prior to this event many had suggested I coach others but I never felt I was qualified. However this event made it clear to me that I should try and help others experience the benefits of running to strengthen their faith and physical body as I had been blessed with. 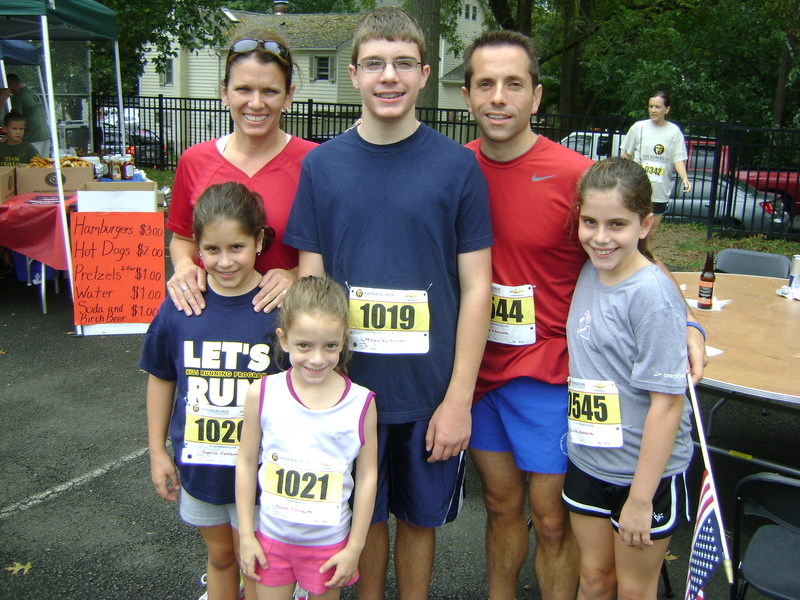 In October 2010 I started Doylestown Christian Runners and that was just the beginning. My initial e-mail communications which focused on reminders and logistics began to evolve to meaningful messages. Thanks to the support of many friends, I created this blog and hope you find value in my thoughts. I hope to have others experience that running can be more than exercise and can have greater meaning. While it helps me stay healthy and manage stress, it can serve as a pathway that can truly strengthened one’s faith. My goal with this blog is to share with others suggestions as to how this can be done. 18 Responses to Who’s Nick? This is AWEOME, I am so proud of you. Thanks! I still can’t believe where this has taken me. Most of this is actually true. And Nick is an even better guy than he gives himself credit for in so many ways. Hard to believe he was in such a different place earlier in life and even as he would acknowledge now, he felt larger than life. Interestingly through commitment to The Lord, himself, his family, his job, running and his friends he leads a far more robust life through discipline, devotion, and perseverance. Earler his footprints in the sand were larger and very few compared to the many miles of footprints he now leaves out on the course of Life and Life Eternal. Truly humbling! Thanks for the kind words and support BGW on the many miles behind and ahead of us! Thank you for liking my blog. Your about me is very inspiring. I look forward to reading more of your journey. God is good. What a blessing! I praise God for you having found me and me you (God is in the mix!). He is an awesome God and will be so much more in our lives than we can ever imagine. I came to say, “thank you” for liking my post, “A Pound for Your Thoughts” and look at the treasure I’ve found! God bless you Nick, I plan to stop by often, Lord Willing and I hope you do the same. The scripture, “I can do all things through Him who strengthens me.” -Philippians 4:13 is exactly the one I have for my site. Let me stop before I write too much (I get excited and keep going and going like the energizer bunny :D). God bless you and my best for you and your family. Rebecca, Thank you for this gift today! I am humbled to be able to reach others as wonderful as yourself. The Lord is amazing and may not always work in ways that we expect… this blog has been one of those for me. I look forward to following and hearing from you as well. Hey Nick. Thanks for liking my blog post! I have recently taken up running and have lost 25kg. I’ve competed in one Half Marathon (albeit not very successfully) and am hoping to run another one later this year. I’m married to an amazing man and we have 4 kids! Oh, and I’m trying to work out how to combine my love of running and fitness with my faith and my blog! I look forward to reading more of your posts as they arrive in my inbox. Thanks Nicki and I really appreciate you reaching out. That’s great that you did the half marathon and the training with 4 kids is a bigger accomplishment than the race itself. It’s been a blessing to reach out to someone so far away and look forward to reading your post as well. Scott, Thank you for reading and have a blessed day! Hi Nick, I came across your blog today and read your bio. What a great story! I am passing it along to Karl to read. You are an inspiration and I think it is awesome you blend your running with your faith in God. Thank you for sharing! I am so glad he girls are friends and I look forward to getting together with you and Allison when our schedules permit. God Bless! Martine Benzio p.s. I have added Karl’s website. he writes a Daily Devotional called “Stepping Stones” I think you will like it! Thank you for reading and we do need to get together soon! I am also glad the girls have become such good friends. I look forward to checking out Karl’s blog as well. Good morning, Nick! I see on Strava that you ran to work this morning; out of curiosity I’m wondering whether you are a retail, or a hospital, pharmacist? The reason I’m curious is that I wonder what shower facility is available for you at work. I’m thinking you must be a hospital pharmacist, and thus has access to showers at the hospital. I read your race reports before, but only today read your “about” page. Your page is very inspirational (as are your other blog posts). Thank you for checking out my blog and race reports. I’ve been swamped with work and hope to get back to writing more again. Regarding your question, I am no longer practicing pharmacy but now work on the marketing side for J&J. Fortunately we have a very nice gym here. Thank you for the reply. I wondered because my husband is a hospital pharmacist who works within running distance of our home; running to and from work is an option for him, if he can figure out the shower thing (and the facilities are available since he works in a hospital instead of retail). Living in S Texas makes running to work tricky, given the hot and humid conditions. I have a son and son-in-law who run, both of whom are engineers. One works for a company that has a culture of fitness, so it provides a gym / showers for its employees. That one bikes to work and runs at lunchtime. The other one works for a company that lacks the facilities that make working out before or during the work day difficult. The place one works definitely ends up making a difference in the way one can incorporate runs / biking into the work day. Anyway, I hope you find time to write more, soon! I wish you and your family a joyful, blessed Easter celebration!